enables the freedom of self-expression, so very important for mental health, all within the safety of our moderated forums. Our community is diverse, and includes men and women of all ages and backgrounds. We offer support and guidance for people who are currently struggling with self-injury, people who are in recovery, and for the friends and family of people who are hurting themselves. Everyone is different, and we treat people as unique individuals, but it’s also comforting for people to know that they’re not alone with their struggles. Our community share the bond of self-injury, but more importantly we share the bond of a desire to move away from self-injury, and a desire for a healthy and happy life. The LifeSIGNS message board has been running since 2003, providing a safe and friendly place for people to discuss their emotional difficulties in an open, non-judgmental environment. Peer support can be of great benefit to people living with self-injury. There are a number of self-injury message boards on the web, but sadly many of them do not provide a particularly safe environment for vulnerable people, and some go as far as being dangerous. Our message board has strict rules in place, upheld on a daily basis by our team of experienced moderators who are on hand to ensure our rules are adhered to and provide assistance to our members. These rules are in place to ensure the Support Forum is a safe and pleasant environment for all members. On first joining, you might be a little surprised by the extent of our rules, but new members tend to quickly appreciate the safety they provide. We’re not like many other message boards. We do not allow images of self-injury, graphic descriptions, or discussions about specific methodology or severity. Instead we ask our members to focus on talking about their emotional distress and the reasons behind their self-injury, not the self-injury itself. By accessing ‘LifeSIGNS’ (hereinafter ‘we’, ‘us’, ‘our’, ‘LifeSIGNS, ‘Message Board’, ‘Board’, ‘Forum’, you agree to be legally bound by the following terms. If you do not agree to be legally bound by all of the following terms then please do not access and/or use ‘LifeSIGNS;. We may change these at any time and we’ll do our utmost in informing you, though it would be prudent to review this regularly yourself as your continued usage of ‘LifeSIGNS’ after changes mean you agree to be legally bound by these terms as they are updated and/or amended. Our forums are powered by phpBB which is a bulletin board solution released under the ‘General Public License’ (hereinafter ‘GPL’) and can be downloaded from www.phpbb.com. The phpBB software only facilitates internet based discussions, the phpBB Group are not responsible for what we allow and/or disallow as permissible content and/or conduct. For further information about phpBB, please see: http://www.phpbb.com/. You agree not to post any abusive, obscene, vulgar, slanderous, hateful, threatening, sexually-orientated or any other material that may violate any laws be it of your country, the country where ‘LifeSIGNS’ is hosted or International Law. Doing so may lead to you being immediately and permanently banned, with notification of your Internet Service Provider if deemed required by us. The IP address of all posts are recorded to aid in enforcing these conditions. You agree that ‘LifeSIGNS’ has the right to remove, edit, move or close any topic at any time should we see fit. As a user you agree to any information you have entered to being stored in a database. While this information will not be disclosed to any third party without your consent, neither ‘LifeSIGNS’ nor phpBB shall be held responsible for any hacking attempt that may lead to the data being compromised. Our message board is very much pro-recovery and we encourage our members to find healthier ways of coping with their distress so that in time they can choose to move away from self-injury. We are about empowering people to make positive choices and to seek health and happiness on a daily basis. 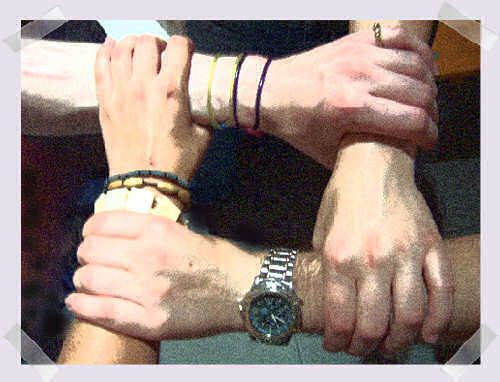 We have a diverse range of members, both male and female, and of all ages. Our members are predominantly UK based, but we welcome (and indeed have many) members from around the world. Our team of experienced moderators, led by Lauren, all have personal experience of self-injury and are long-term members of the board with high quality post counts. Their loyalty and dedication ensure the ethos of our board is upheld at all times. Wedge and Jules administrate the Board, activating new accounts and keeping the spammers at bay. They also deal with forum management and providing access to restricted areas for members who request it. We welcome new members who care for people who self-injure. Our members, the majority of whom have direct, personal experience of self-injury, can help you understand the complex issues that surround self-injury and let you know you’re not alone. It can be very difficult caring for a loved one who is hurting themselves, and you need to take time to look after yourself too. Our ‘Friends and family’ forum can give you a place to express how you’re feeling in an non-judgmental environment, with people who understand. In order to maintain the trust and confidence our members place in us to provide an environment of peers with experience of self-injury, we do not allow healthcare professionals to become members of our board. However, anyone can view our rules and professionals are welcome to email Jules@lifesigns.org.uk with any specific questions. We know that some of our members joined after being referred by their healthcare workers, and it’s always lovely to hear that professionals have faith in the safety and benefit of our forums. We do not allow researches to gain access to our message board. We are not a zoo. If you are a researcher and have a research request, please email info@lifesigns.org.uk and if we are happy with the ethos of your research, and you have already gained ethical clearance, we will consider taking your request to our members on your behalf. We realise there is media interest in the provision of self-injury message boards. Such interest is important if we are to keep the web as safe as possible for vulnerable people, and although we cannot allow media access to our boards, we would be happy to discuss our message board, and why it’s one of the safest on the web, with any media representative. Please email Wedge@lifesigns.org.uk with any media requests. 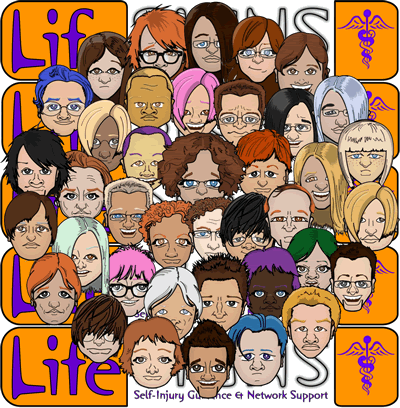 LifeSIGNS provides the Support Forum service as part of our aim to raise awareness about the syndrome of self harm and to provide support to our members. Why is my account deactivated / suspended / not working? There are a few reasons why your LifeSIGNS Message Board account might not be working for you right now, you will definitely be able to find the reason below. If you have only recently registered, it can take 24 hours for us to activate your account; on a good day, it’s less than 4 hours! If you have changed your email address within the ‘User Control Panel’ then your account is automatically deactivated, but will be re-activated very quickly! You can email admin <at> lifesigns.org.uk if you like, but in all likelihood your account will be re-activated before we read your email so, just be patient please. If you use hotmail or MSN as your email provider then it’s quite likely that you won’t receive any emails from LifeSIGNS, but that your account is active. Please log in to your User Control Panel and change your email address to something else, not hotmail or MSN, our board just doesn’t work well with those addresses. If you need help, you can email admin <at> lifesigns.org.uk from a non-hotmail / non-msn address. It’s possible that we’ve asked you to take some time away from the Board so that you can reflect on any recent behaviour that has upset our community (Consider our Rules) – in general we will have discussed this ‘suspension’ with you. It’s possible that your account has been permanently deactivated due to abusive behaviour on your part, such as sending harassing ‘Private Messages’ to our members, or forwarding private communications to your friends, or taking part in gossip or hate-filled discussions that undermine the work the LifeSIGNS Voluntary Organisation performs. Just as each and every member has the right to end their association with LifeSIGNS, so LifeSIGNS has the right to end our association with certain members. It’s possible that your account has been suspended or permanently deactivated due to abusive behaviour on your part against the volunteers who help run the LifeSIGNS Message Board. We value the people who give up their time freely to help LifeSIGNS provide our services, and we have no interest in associating with people who do not value our volunteers. Just as each and every member has the right to end their association with LifeSIGNS, so LifeSIGNS has the right to end our association with certain members. If you do not wish to be part of the LifeSIGNS community, or you intend harm against our organisation and communuty then we choose to end our association with you. These matters are final.